Coffee makers are great machines that take out the hassles of making a good cup of coffee with fresh coffee grounds. The only problem with coffee makers is that they tend to occupy a large space. It’s a good thing new coffee makers are made to be more compact. One compact coffee maker in the market is the Keurig K15. If you want to get yourself a great compact coffee maker for your home, I would like to encourage you to read this short Keurig K15 review below. What Is The Best Compact Coffee Maker? How Do You Choose A Coffee Maker? To ensure that you get a coffee maker that you will enjoy using at home, you must get familiarized with these following factors that make a great coffee maker. In knowing these factors, you will be able to choose the best coffee maker﻿ for your home. Plus, you will also be able to ensure that you get the most bang out of your buck. A coffee maker’s design can significantly affect its overall function. A coffee ﻿﻿machine with a rather compact design can be considered to come with less features than larger ones with a larger and bulkier design. This is why you should take into consideration the coffee maker’s overall size and design. The overall design will dictate how much coffee you can make and in what container you can place it in. Coffee makers have become more advanced as time passed. Coffee makers before used to come with simple on and off buttons that will just trigger the hot water to trickle down the coffee grounds. Today’s coffee makers on the other hand are far more complex. What’s great about the coffee makers of today is that they offer complete personalization and ease. Today, you will be able to enjoy a coffee maker that can help you create coffee with just a single touch of a button, with a specific brew color, temperature, and more. Lastly, you should always keep in mind to look out for the coffee maker’s water reservoir capacity. This feature will ultimately determine how much coffee you can make with your coffee machine. Coffee makers can come with water reservoir capacities that range from 4-cups of water up to 8-cups of water. The K15 is one of Keurig’s most compact machines. In reviewing the K15, I will describe it under 4 important categories, the appearance, convenience, coffee variety, and maintenance. But before I continue, let me first give you a brief review of the Keurig K15. ​Like I said, the K15 is a really compact coffee maker from Keurig. It doesn’t require much counter space and storage space. In fact, I guess it’s about the size of a large blender. The K15 comes with a truly sleek looking design. It comes in 11 different colors including black, red, blue green, white, brown, maroon, and more. Like I have mentioned earlier, it’s roughly the size of a large blender. It comes with a one-touch feature that will let you create a cup of ﻿﻿coffee by pressing one single button. Is has a very compact design that will let you place it in small-spaced counters or end tables. It comes in different colors that will make it easy for you to pair it with your existing kitchen appliances. Majority of the customers who bought the K15 mentioned how happy they were with the K15’s extremely compact size. A lot of users who enjoyed this compact feature were students, office owners, and people who live in small homes. A lot of users also enjoyed how this coffee maker comes in a wide selection of colors. Plenty of users though it makes for a great gift because of so. Another thing users applauded was the K15’s ability to brew a cup of coffee really quick. It is truly a convenient feature that you can rely on whenever you’re in a rush. ​On the downside, many users did wish for the K15 to have a larger water reservoir capacity so they won’t have to keep refilling the coffee maker if they wanted more cups. If you think you will need a coffee maker that comes with a larger water reservoir capacity, then you may want to check out the K55. 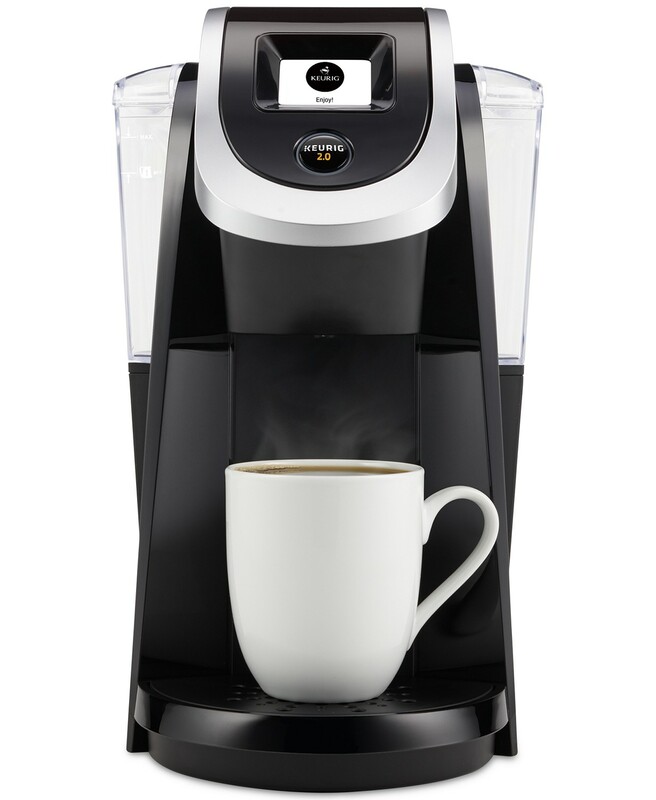 This coffee machine can help you create up to 8-cups of coffee since it comes with a 48-ounce capacity reservoir. 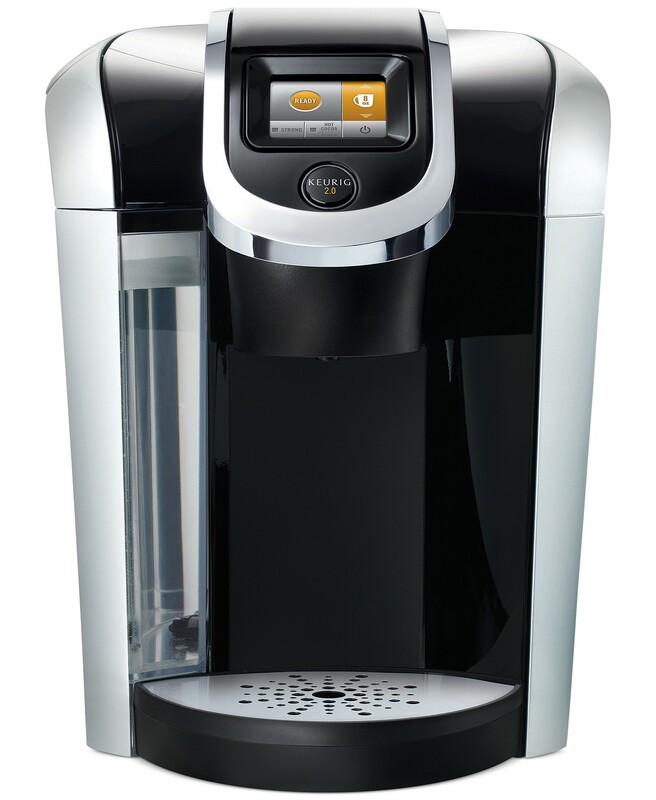 Another Keurig coffee machine that can offer you up to 8-cups of brewed coffee really quick is the K475. This coffee maker comes with a sleek design that will allow you to place it in your counter top with ease. 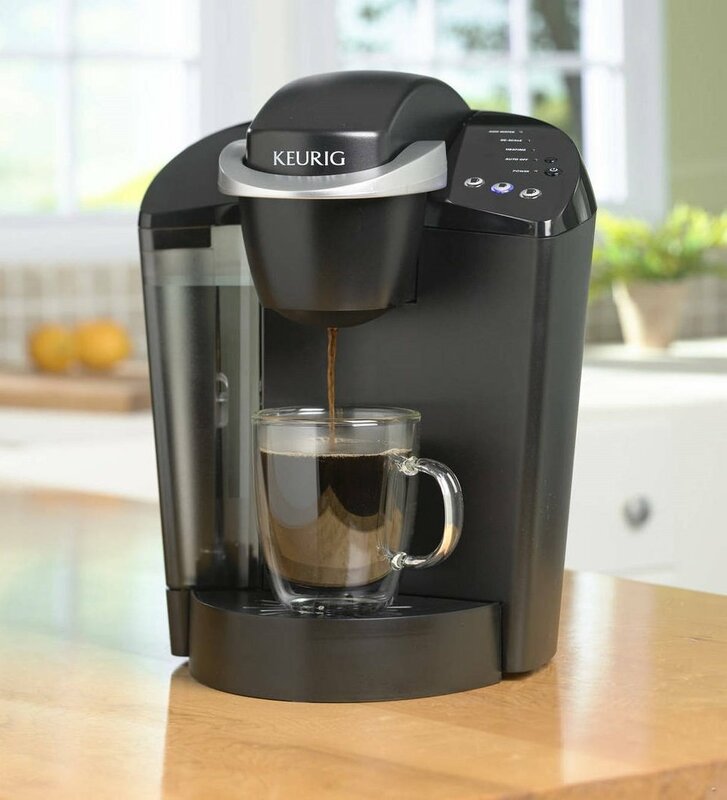 The K250 is one more Keurig coffee maker that can create a variety of coffee brews because it is compatible with multiple K-cups. It’s truly a versatile machine since it’s also K-carafe compatible. The K15 from Keurig is a great machine that can fit your home regardless of your available space since it comes with a very compact size. Another great thing about the K15’s design is that it’s available in 11 different colors that makes it a great gift or a great addition to any kitchen. But what makes the K15 a really convenient coffee maker is its capability to brew a whole cup of coffee within just 2 minutes. Without a doubt, this little bad boy is not to be underestimated despite its compact size.